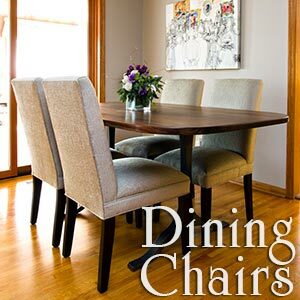 When you're frustrated with the limited selection of dining room chairs found in your local furniture stores, look to Carrington Court Direct for a distinctive alternative. 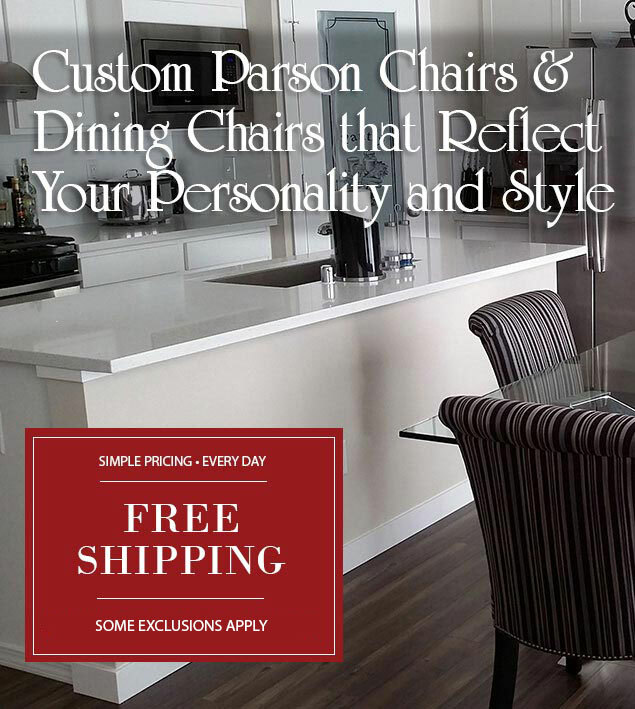 When you're tired of the same mass-produced furniture being offered in practically every catalog you see, let Carrington Court Direct cater to your sense of style. 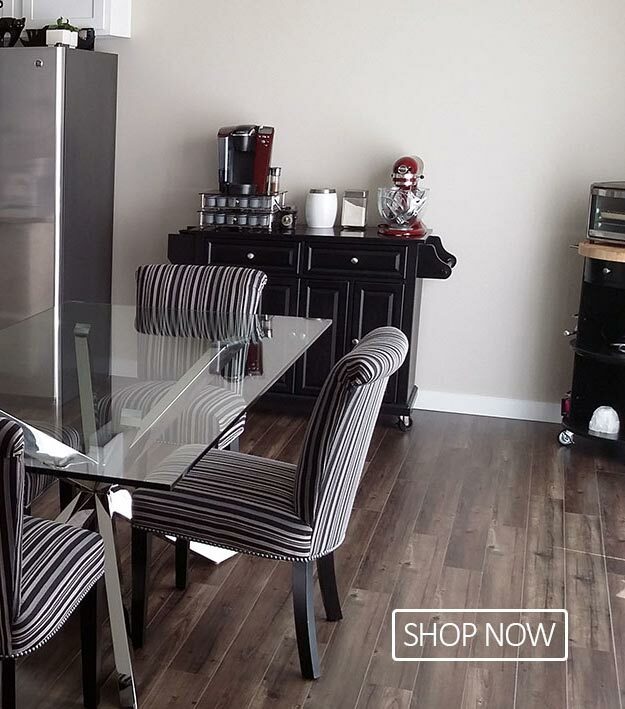 There's absolutely no reason why you can't have the exact Parsons chairs and dining room chairs you want for your home at an affordable price. Through our vast selection of styles, finishes and upholstery fabrics, you can let your creativity flow and express your true personality. From Queen Anne legs and armchair designs to upholstered legs with camelbacks, you'll find a style certain to complement your decor and your personal taste. 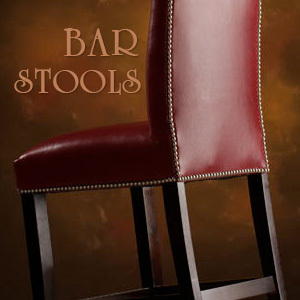 Custom Parsons chairs can be made to order and delivered within three to five weeks (or less). You'll receive frames made of all hardwood construction backed by a lifetime guarantee. You're even welcome to send your own fabric if you'd like. 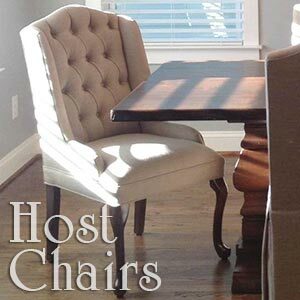 You'll find Carrington Court Direct chairs in homes in the finest places in the world including Cape Cod, Martha's Vineyard, Hilton Head and New York. Since 1984, we've delivered a wide range of chairs to exclusive buyers for use in dining rooms, bedrooms, hallways, sitting rooms and more. And with our 99% customer satisfaction rating, you're sure to be pleased. Though the quality and elegant styles would never show it, all Parsons chairs you'll find at Carrington Court Direct are sold at a discount. 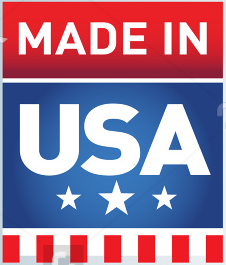 You save from buying direct at dealer prices straight from the manufacturer. You'll find exceptional fabrics to choose from along with timeless styles, all for prices less than most discount furniture stores offer. And since you're buying online, you save both time and money. 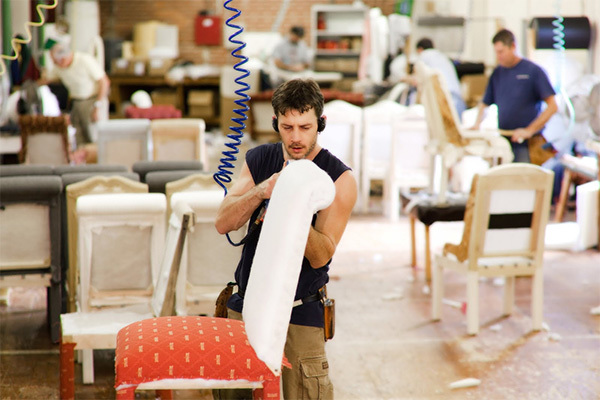 We encourage you to order fabric swatches so you can see the exceptional quality of the material used for your chairs. If you have any questions once you receive your samples, our expert staff of design consultants will be delighted to help. Take a few moments to browse through the site. You'll also want to bookmark this page so you can find us easily again. Let your imagination run wild! You have our word that we can accomplish your decorating goals in order to bring out your true style and personality in your home.